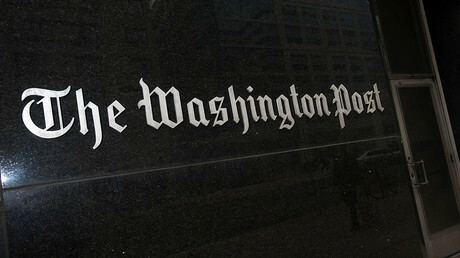 The Washington Post’s latest “bombshell” has alleged that a rookie journalist who published on left-wing and fringe websites was actually a Russian troll acting on Kremlin orders. While the Post and Beast claimed the curious case of Alice Donovan is part of a Russian disinformation campaign, many social media users were not convinced. Twitter user @historyinflicks pointed out that Donovan’s Twitter account had a grand total of 40 Twitter followers. That number currently stands at 69, as she has gained more followers since the WaPo story went public. Alternet journalist Ben Norton called the article a “McCarthyite cudgel” aimed at critics of the Democratic party. Viewpoint magazine’s Shuja Haider poked fun at the allegation that Donovan is linked to Russia. The Daily Beast’s headline prompted a heavy backlash, too. So? If the information is correct, why does it matter where it was written? Xenophobes. She only had 48 followers. There was no influence there. For its part, Counterpunch could not find clear evidence that confirmed or refuted Donovan’s existence. The New Republic editor Jeet Heer said that even if Donovan were paid, it would be a poor strategy.